With 2018 coming to a close, there isn’t much time left to upgrade your equipment to take advantage of a significant tax break. Section 179 was signed in December 2017, allowing businesses to increase deductions from equipment upgrades valued up to $1 million within a single calendar year. This encourages investment toward long-term improvements - with qualifying leased or owned equipment - allowing the full purchase price to be deducted from your gross income; this differs from normal equipment depreciation. Additionally, you have the option to apply the tax break on each individual item or across all equipment, depending on which path proves to be the most financially sound for your company. Outright purchases & financed purchases qualify. Machines, machine control, software & survey equipment all qualify. 2018 Spending Cap on Equipment Purchases = $2,500,000. Deductions only apply to equipment delivered before January 1, 2019. Time is running out so take advantage of this deduction today! John Deere’s 1st appearance at CES made a splash with a 20-ton automated Combine Harvester on the show floor and an automated tractor test on the back parking lot. 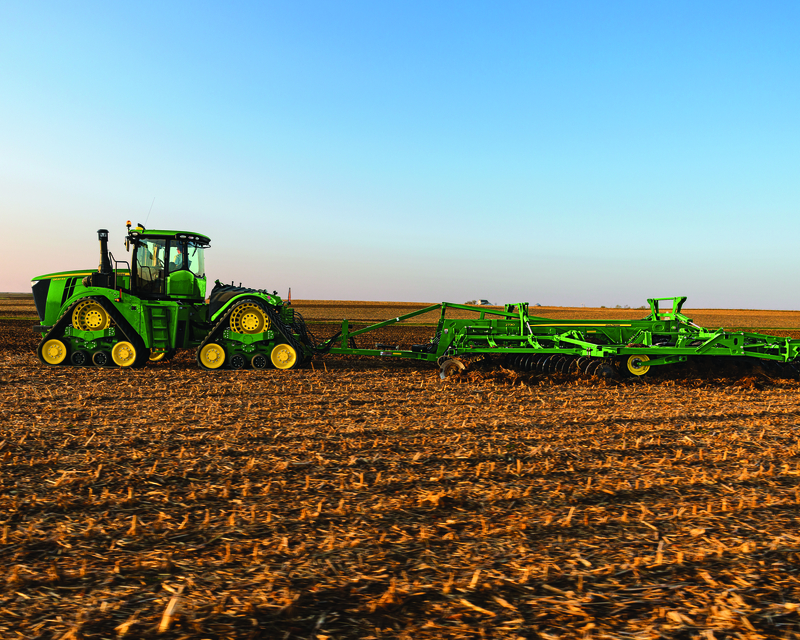 In a connected world with an unending stream of data, Precision Ag technology is revolutionizing the relationship between field and farmer. When you purchase a compact tractor for property maintenance, you’ll most likely need mowing or cutting attachments: finish mowers and rotary cutters. Both options cut grass, but are used in different conditions; and depending on your property, you may need one or the other—or both.